A perfect blend of opulent luxury, iconic style, heart-pounding performance and versatile utility, the 2017 Mercedes-Benz GLC Coupe in North Haven, CT will be a welcome addition to the Mercedes-Benz model lineup. With a more athletic style than the flagship Mercedes-Benz GLC Class SUV, the Mercedes-Benz GLC Coupe caters to drivers looking for a more attractive design with a high degree of versatility. This unprecedented Mercedes-Benz design combines all of the elements that car shoppers have come to expect from the German-engineered brand in a sleek package. Available in two immaculate trim levels, the stock Mercedes-Benz GLC 300 and the performance-tuned Mercedes-Benz GLC 43 AMG®, the revolutionary Mercedes-Benz GLC Coupe checks all the boxes. Sleek exterior lines, a diamond radiator grille with signature Mercedes-Benz insignia and a rakish backend make the new edition stand out from the crowd and are punctuated by standard LED lighting systems. Invigorating style elements carry over to a luxurious interior that employs a flowing dashboard and integrated media interface that is centered around a standard seven-inch high-resolution display. Additional features include a sunroof, a rearview camera, a power tailgate, KEYLESS GO®, luxurious MB-Tex upholstery, a power driver seat and an arsenal of innovative safety features that include Active Brake Assist and a PRESAFE® system. What’s Under the Hood of the 2017 Mercedes-Benz GLC Coupe? 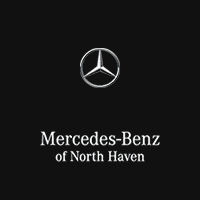 Mercedes-Benz models set the gold standard for performance in the luxury class and the 2017 Mercedes-Benz GLC Coupe in North Haven, CT meets and exceeds that expected level of performance. Stock GLC 300 Coupe editions employ a thrilling 241-horsepower 2.0-liter Turbo inline-4 engine that manufactures 273 pound-feet of torque and is mated to a 9G-TRONIC nine-speed automatic transmission. With the dynamic Mercedes-Benz 4MATIC® all-wheel drive system at your disposal, the GLC 300 Coupe is even more exciting. An off-road suspension and DYNAMIC SELECT CONTROL with ECO, COMFORT, SPORT, SPORT+ and INDIVIDUAL driving modes promise to optimize your driving experience. Amplify performance and get behind the wheel of the Mercedes-Benz GLC 43 AMG®. A stellar edition from the Mercedes-Benz performance division, the Mercedes-Benz GLC 43 AMG® plays host to an explosive 3.0-liter Biturbo V-6 engine. Mated to the standard 9G-TRONIC nine-speed automatic transmission, the vaunted GLC 43 Coupe will shell out an invigorating 362 horsepower and 384 pound-feet of torque. Equipped with the dynamic 4MATIC® all-wheel drive, the Mercedes-Benz GLC 43 AMG® will vault drivers from zero to 60 mph in less than five seconds.